UFC lightweight champion Khabib Nurmagomedov and former two-division kingpin Conor McGregor received a temporary suspension from Nevada Athletic Commission (NAC) for a post-fight brawl that ensued inside and outside the octagon after ‘Eagle’ submitted brash Irishman in the fourth round via neck crank last weekend in Las Vegas. The dust hasn’t been settled yet, as the Commission has announced that an official hearing will take place on October 24, where NSAC chairman and commissioners will vote to see if either fighter will get a hefty suspension or not. Conor McGregor’s manager, Audie Attar at Paradigm Sports Management, said he’s confident the investigation will clear Irishman. However, Russian President Vladimir Putin praised Khabib for his dominant and fair victory during a recent meeting on Wednesday which held in Moscow. Earlier today, Khabib posted an angry message referring to UFC that if the promotion fired his teammate he’d rip his contract as well and he’s being treated unfairly. UFC head honcho Dana white already predicted that Commission might take quarter part of Khabib’s fight purse and suspend him for four to six months. Whether or not Commission will hand such penalty to Khabis remained to be seen. 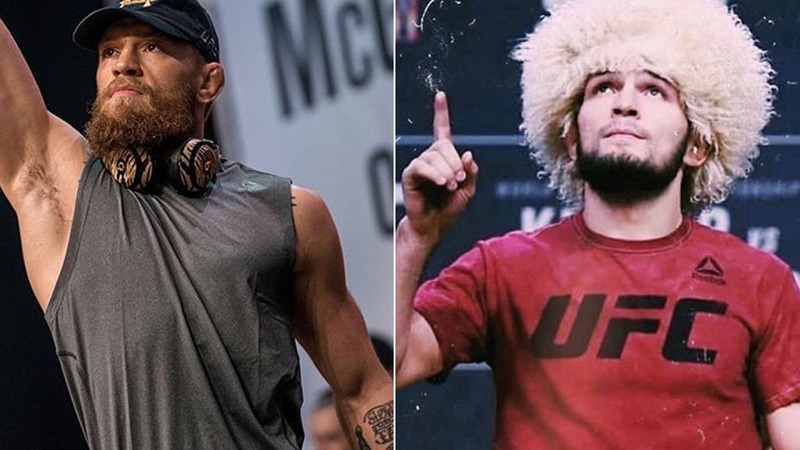 Share your thoughts, what type of punishments do you think Khabib Nurmagomedov and Conor McGregor will be spanked for the infamous UFC 229 post-fight brawl?